Sometime in the night, on November 22nd, 2007, Kali jumped onto the bed and screamed out, apparently in great pain. She trembled, and lay still and on her side for some hours. The next day, Kali was up and moving about and she appeared to be over this odd and painful spell - she was in great spirits, though she showed lameness in both her front and back limbs. Less than two weeks later, in early December, the vets were treating Kali for a spinal or muscle-related injury. Her x-rays showed some degenerative joint disease and spondylosis, but not out of range for her age, she’s eleven after all. No signs of anything suspicious. The vet put Kali on pain management and ordered leash walks for three weeks. But on December 15th, I found a lump on Kali's rib, a hard lump that was attached to her rib bone. The lump was large and I'm surprised that no one, including the vets who had been treating her, or Kali’s guardians, found the lump sooner - but there it was. The vets thought that Kali’s recent and sudden lameness was not related to this mass, believing she had two different problems. The vets said the mass could be benign but we needed a bone biopsy. Whatever this lump is, it grew awfully fast. Kali spent December 23rd and 24th as an outpatient in a specialty veterinary hospital having all sorts of tests. When she came home on Christmas Eve night I found a new lump, this one on the opposite side from the first, about the tenth rib again, but down closer to her sternum near the condral joint. The lump wasn't there when she was x-rayed earlier that same day and this one also was large in size - this is how fast the cancer is growing. A few days later, on December 29th, the first of three pathology reports came back identifying the tumor as an osteosarcoma. Later, additional pathology reports on the biopsy tissue proved that the first report was wrong. Kali’s diagnosis was metastatic squamous cell carcinoma. And the vets finally agreed that the lameness from November was a symptom of the cancer. My vet gave Kali three weeks to live, - boy did we want to prove him wrong. In early January we sought holistic support from Dr. Martin Goldstein’s Smith Ridge Vet Center in South Salem, New York. We came away from the Smith Ridge Vet Center armed with much info, vitamins, pain meds, supplements, and hope. Kali was having good days and not so good days, but the good days were enjoyed by us all, she was surrounded by family - soaking up sunrays in the yard, walks in the woods with her kids and grandkids, lots of pats and pets, car rides, watching TV on the couch while sharing a bowl of popcorn, munching on bones and eating favorite treats, and enjoying the simple things that make dogs happy. We lost Kali on January 15, 2008, just before her 12th birthday, to metastatic squamous cell carcinoma. Kali is greatly missed by her family and friends. She has given the Chinook world a special legacy of beauty and joy. 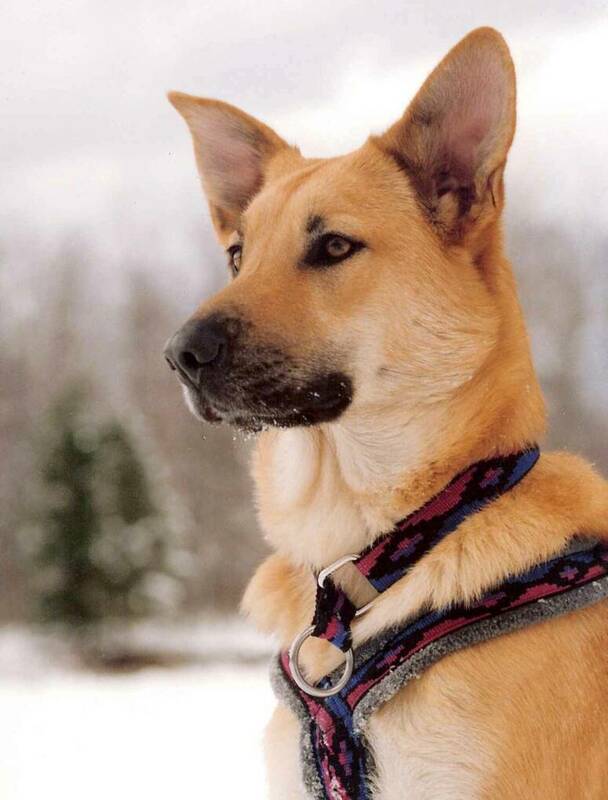 Kali was survived by her eight sweet Intervale offspring by Benjamin’s Tekoa: Katherine, Crystal, Gus Tuckerman, Ursa, Honey, Surprise, Piper, and Franconia, and by her ten exuberant grand-offspring: nine from Ursa and Dozer: Intervale Franklin, Kodiak, Tug, Sonny, Odin, Sorren, Luna, Emma, Claire and one grandpup from Crystal and Rainy, the spirited Otie Coyote. And in 2010, Kali's granddaughter Emma whelped a litter of nine: Belle, Rhys, Kenzie, Maya, Jackson, Cooper, Tonka and Basil. Today, Kali is a great-great-great-great Grandmother. Take out a health insurance policy on your Chinook before a catastrophic illness such as cancer strikes, and look for a special cancer endorsement. Ask for, and read copies of all test results and ask questions. Be your dog’s health advocate. Keep in mind that cancer may not be the only issue - frequently other diseases can complicate the diagnosis and the management of a tumor. is necessary to confirm or exclude the presence of a neoplastic process. If a biopsy result does not make sense in the context of the clinical presentation, review of the tissue by another pathologist or re-biopsy is appropriate. 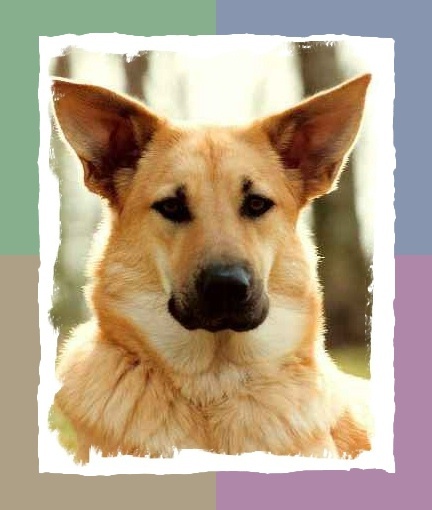 Share what you learn about your Chinook’s cancer with others in the Breed. Save a blood sample and/or a cheek swab to donate to cancer research. Make a donation to Chinook health research, earmarked for cancer research. Kali's spirit lives on in the sighting and the song of the Chickadee. 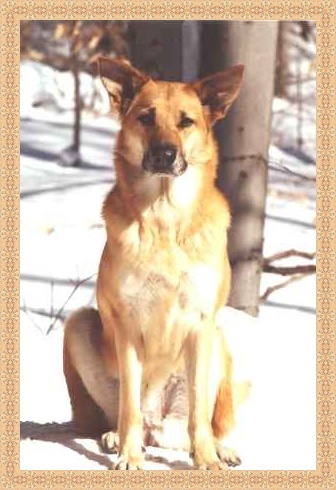 Next time you see or hear a Chickadee, remember Kali, a wonderful, loving, beautiful Chinook dog. Kali's diagnosis was a very difficult one for her vet specialists. There were no apparent signs of cancer early on when she had symptoms of lameness and pain. The tumor on her rib fooled the vets and the first pathologist too, who thought the lesion was osteosarcoma. Kali's biopsy report did not make sense in the context of the clinical presentation. On my own insistence, I demanded (yes, demanded!) further pathology on the tissue - I was Kali's advocate. Additional path reports proved that the cancer was not OS. Kali didn't have typical symptoms for osteosarcoma or squamous cell carcinoma, which made this diagnosis difficult. But her final two path reports, which included staining, (an additional test), confirmed epithelial cells in her bone biopsy - the tell tale sign for this cancer.